How Badly Do You Want To Detox And Relax At These Balinese Villas? The fun part about the Konkan area is that every 50 odd kilometres, there is a destination you can chill at. So ditch the usual suspects this time and head to Dapoli instead. 227 km away, which means a six-hour drive, our reason to head to Dapoli is this perfect stay we found there – Exotica Suvarna Samudra. Sounds classy, right? Read on to find more. Exotica Suvarna Samudra is in Dapoli which is a six-hour-long drive if you choose to take your car. For those looking for alternate means of travel, you can catch a train to Khed, a station close to Pune and then take a cab to Dapoli which is just 27 km away. If you’re looking to catch a bus, it’s an overnight journey and a lot of private bus companies have their services running on this route. 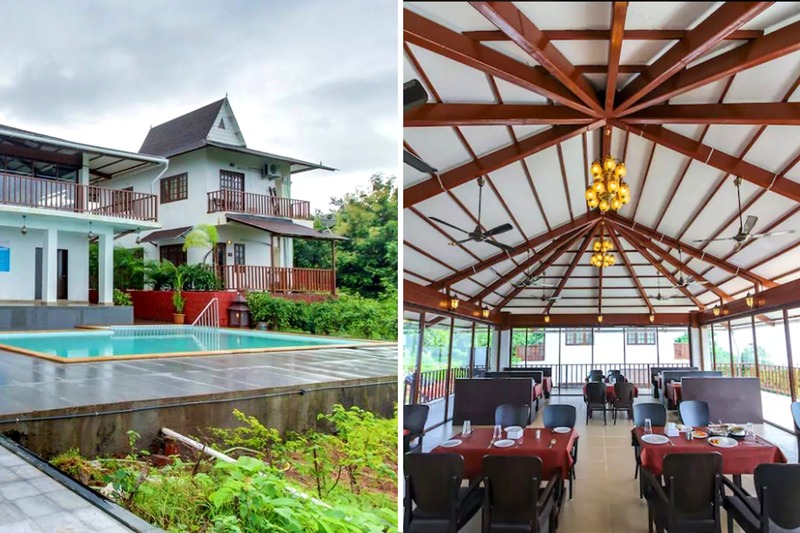 Exotica Suvarna Samudra is a peaceful resort in Dapoli, nestled in the lap of nature. Inspired by the Balinese villas, this resort offers a tranquil balance between leisure, comfort and recreation ensuring a fully satisfying getaway. The villa balconies are designed to give you a clear view of the sunset or the sunrise. They have a sundeck where you can lounge while you stare in the distant valleys of Sahyadris. And they have a pool you can have fun in, or just sit around soaking in the fresh air, a rarity for the urban dwellers. The property also has Suvarndurg fort in the backdrop for that extra regal feels. With comfortable rooms and independent patios for each villa, they also have free parking, a multi-cuisine restaurant, and all other basic amenities. If you’re here for a longer time, then you can also explore the nearby fort, Unhavare natural geysers, Harnai port and beach, and Panhalekaji Caves. You can either through their website, other travel sites, or even through Airbnb. If you’re looking for a quick weekend getaway, Dapoli is a good option to explore. With a lot to explore in the nearby areas, and an amazing stay at Exotica Suvarna Samudra, you are likely to come here again. And again.